The much anticipated Women of the God Kind (WOTGK) conference took place last Saturday, 18th March 2017 at the ALDC Covenant University, Ota. 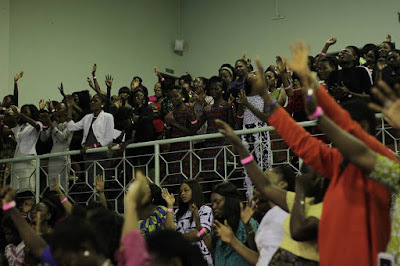 The event attracted hundreds of ladies from within and outside Ota. The theme of the conference which featured word ministrations, a panel session, dance drama, fashion show by NHN Couture among others, was “Audience of One”. Dr. Ada Sonia- A lecturer in the Department of Mass Communication at the Covenant University talked about maintaining a genuine relationship with God. She also admonished the participants to understand their relationship with God and to see prayer as a constant communication with the father not just an avenue to ask for things: “We are the branch and God is the vine. The branch takes the form and fruits of the vine. What fruits are you producing?” she asked.